Is It a Sign or Cool Stadium Façade? Technically speaking, it’s a façade. 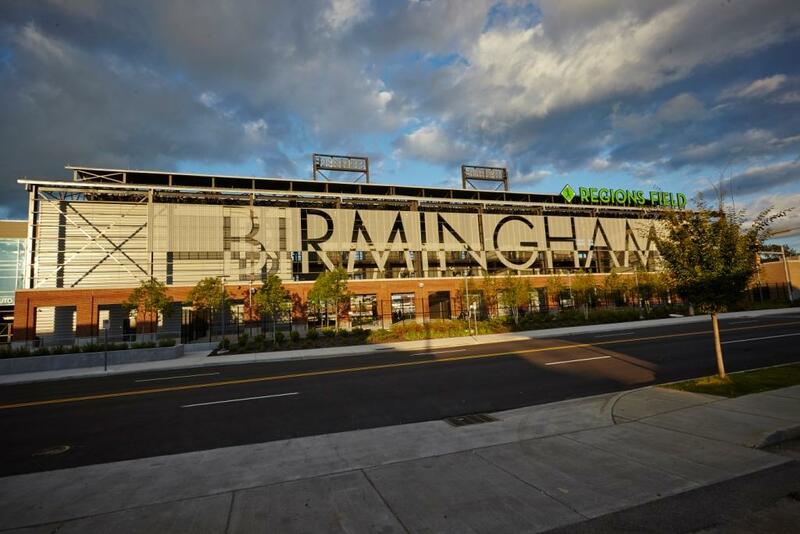 But either way, this eye-catching western exterior of Regions Field in Birmingham, AL, sends a clear message of civic pride to passersby, locals and visitors alike, who are driving along a nearby elevated highway. The city has reason to be proud. 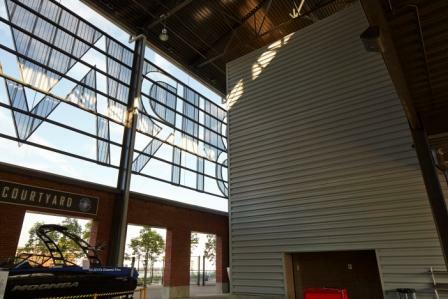 First, its new minor-league stadium, clad in metal by CENTRIA, was named Ballpark of the Year by Baseballparks.com. 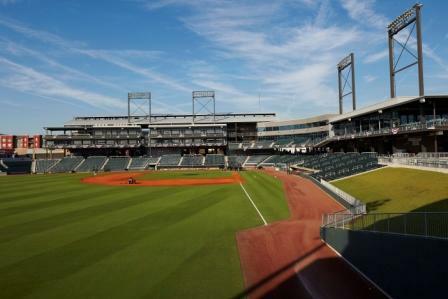 Second, the Birmingham Barons Double-A baseball club just capped off its inaugural season in the new ballpark by winning its division title. According to an upcoming feature article in Metalmag, available mid November, the towering letters are cut with a unique, inside-out effect. Upper panels were cut to outside parameters; lower panels were cut to the inside parameters. CENTRIA’s EcoScreen® perforated screenwall helps limit sunlight exposure to the interior and creates an interesting aesthetic effect. Birmingham baseball fans love the façade, of course. Other design elements of the 245,000-sq-ft, 8,500-seat stadium include CENTRIA single-skin metal panels on a mixed-medium exterior. Among other features, the metal panels help promote the southern city’s industrial heritage and complement brick, ironwork, and steel buildings in the surrounding area. Pretty! This was an extremly wonderful article. Many thanks for providing these details.